Delay in production from Gigafactory, which is Tesla’s battery manufacturing facility, is leading to global shortage of cylindrical batteries. As Panasonic has given most of its supplies in Japan to Tesla, many small and large companies that are in need for cylindrical batteries are knocking on doors of Samsung SDI, LG Chemicals, and Murata (previously Sony). However due to limited output, these companies are helpless with increased demands. As a result, many global IT, non-IT, electric vehicle, and home appliance companies have been left with no batteries for many months. According to industries on the 5th, there is an extreme shortage of cylindrical batteries globally. Samsung SDI, LG Chemicals, Panasonic, and Murata are currently producing more than 80% of global cylindrical batteries (standards: 18,650, 21,700). Excluding set manufacturers who already signed off on contracts before 2017, many other companies are having difficulties in making purchase orders and it will not be easy for them to secure additional supplies until the end of the first half of 2018. Number of demands for cylindrical batteries has recently increased from markets such as electric vehicles, power tools, electric bicycles, cordless cleaners, e-cigarettes, and power banks. As there was a serious problem with operation of Gigafactory, Panasonic had to bring its supplies from Japan in order to patch up this problem. Panasonic is even supplying its batteries that are produced in Japan to Tesla for its electric vehicles. According to industries, Gigafactory has not had normal operation for many months due to unstable supply of power and extreme shortage of manpower. Since a battery (100kWh) used for single Tesla ‘Model S’ can be used to produce 200 electric bicycles, previous customers are taking significant blows. 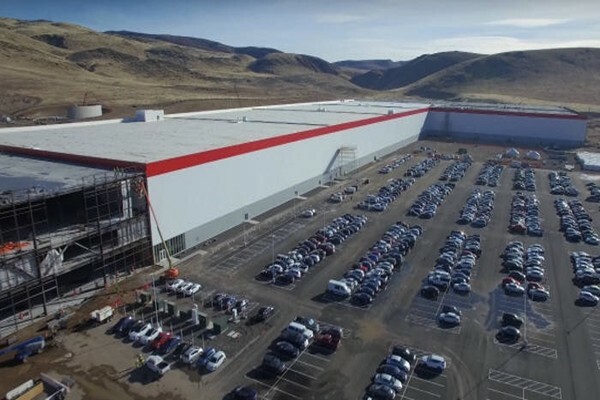 Although Tesla initially planned to construct Gigafactory in the middle of desert in Nevada and supply power through its own solar power generators, it is difficult for Tesla to have normal operation with Gigafactory due to reasons such as uneven amount of generation of new regeneration energy. It is also facing shortage of manpower due to accessibility of its Gigafactory.